For help logging in, see: How to Log In. Name: This can be anything (Some examples: Sales, Accounting, Warehouse, Web Developer). 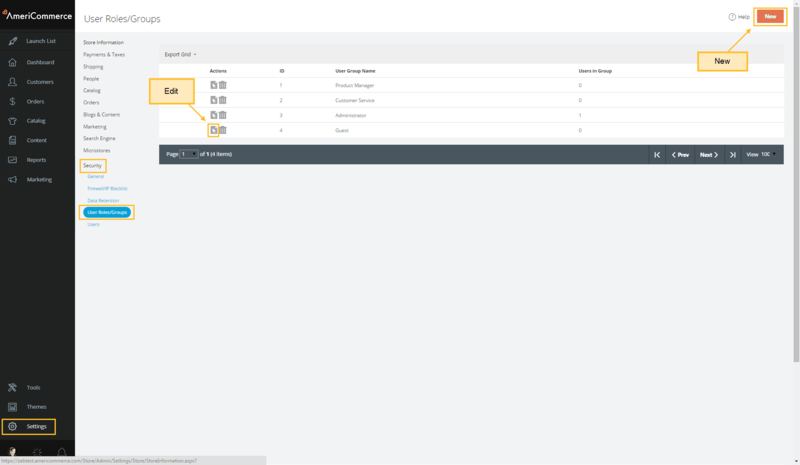 Landing Page Path: This is the page the user is taken to after logging in (Example: /store/admin/orders/orderlist.aspx). This setting is optional. 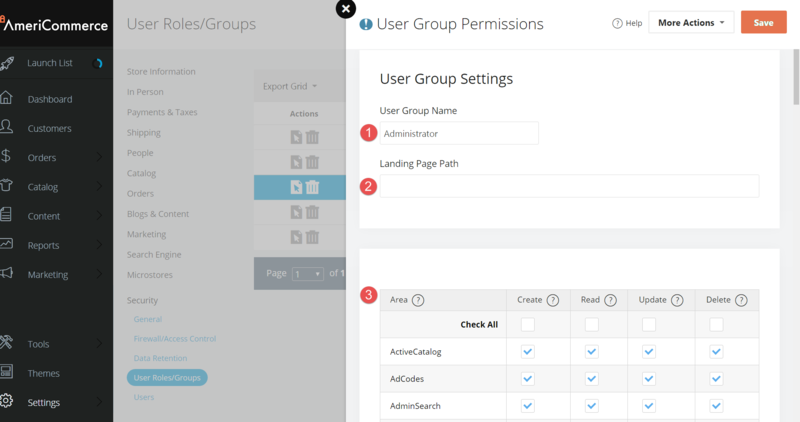 Permissions Grid: This is where permissions can be set for the User Group. 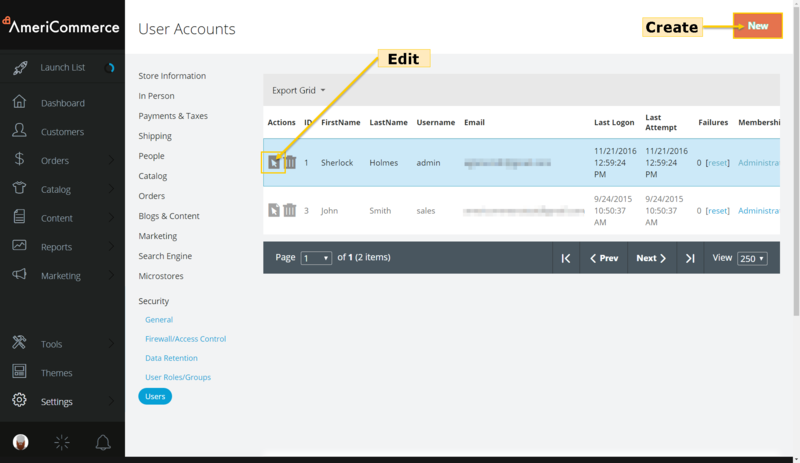 Don't want a user to be able to delete anything in the admin? Remove the delete permission from every row on their user group. Set the above settings as desired, then click Save. Security Tip: Only give user groups the minimum necessary permissions to perform their job function. Email: this address will be used for password resets. The user will now be forced to reset their password once they login for the first time. For information on password requirements, see: User Account Password Requirements.